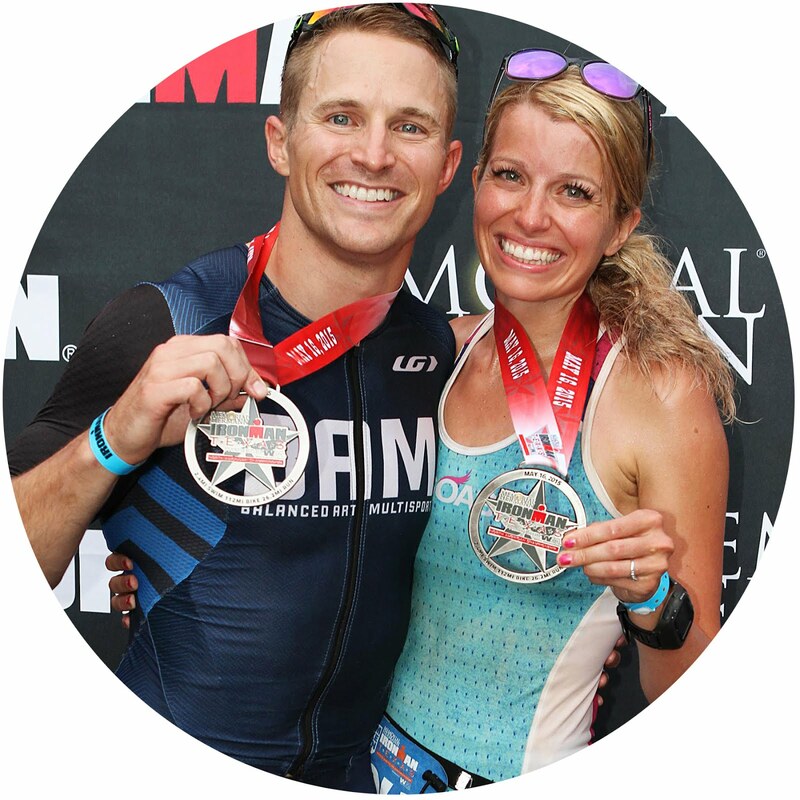 In the story of this legendary Ironman Texas, no discipline was left untouched. 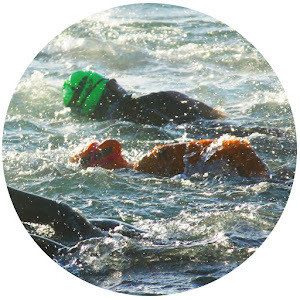 The swim route had to be altered when the canal water was deemed unsafe less than 48-hours before the cannon went off. The bike course was an ongoing drama for months leading up to the race. The run just didn't want to be left out of the party! Cue Mother Nature. We went from one extreme of real-feel 100-degree intense heat and humidity to the other extreme of torrential downpour, 30+ degree temperature drop, high winds, hail, and a too-close-for-comfort thunder and lightning storm in a matter of minutes. During a marathon. Of an Ironman. It was crazy!!! So awesomely crazy. Going into the race, I'd wanted a 4-4:15ish marathon split. That sounds like a funny thing to say since I just ran a 3:21 open marathon last fall, but an Ironman marathon is a whole different beast. And again, I didn't feel like my fitness level was up to par (months of poor sleep and nutrition, extra pounds, etc.) and have felt slow on a lot of runs over the past few months. So I knew even a 4:15ish split wouldn't come easy after a long day of swimming and biking. That said, the one part of my training that I've been happiest with in the past few months has been how strong I've been able to run off the bike. My legs have felt good and I've been able to hit some pretty great-for-me splits on my long brick workouts leading up to the race. And in my practice half-iron distance race at the beginning of March, I ran a negative split 1:47 half marathon to wrap it up and felt AWESOME. So I know it's in me to run well off the bike! The great thing about being a runner-biker-swimmer in that order is that on race day, things just keep getting better and better. 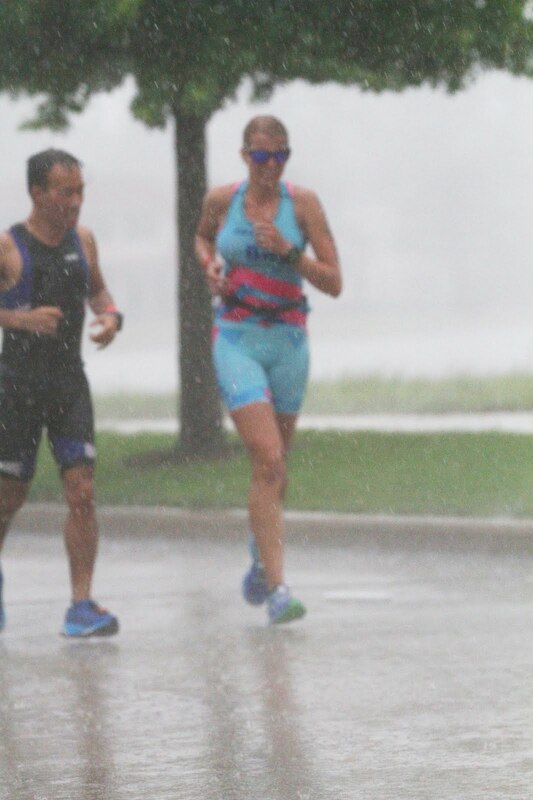 I was obviously super relieved to be done with the swim and onto the bike, and then I was so excited to be hopping off the bike and getting to run! But it quickly became evident that this run wasn't going to feel awesome. Normally, there's a jello-but-I-can-still-run feeling and I'm so happy to be on my feet that I actually have to hold myself back a bit. 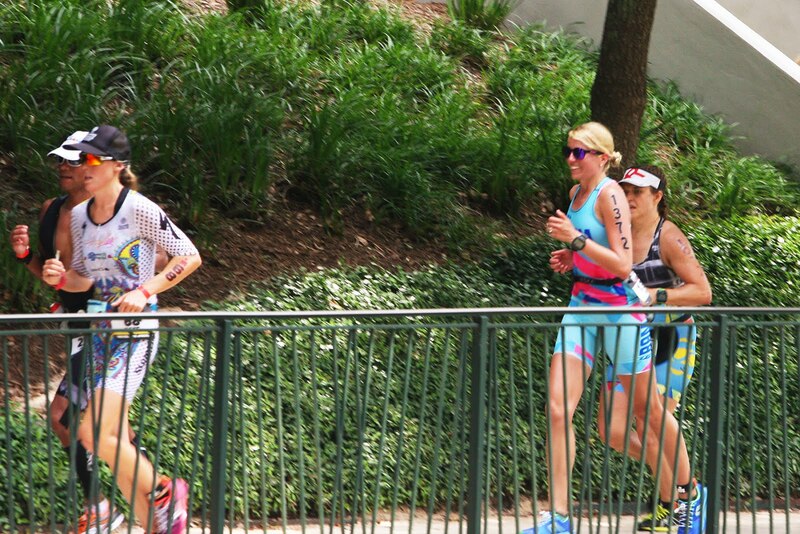 As I came out of T2, though, my legs felt heavy and slow, and there was no intentional holding back needed. You figure that an Ironman is a game of attrition, so less-than-great miles early on in the first loop made me nervous about doing that loop three times. You know, running a full-on marathon. Thank goodness for my angel friend Syd and that fateful conversation we shared on our bikes that crazy April day in St. George! Stay in the moment, I reminded myself. No need to worry about what's ahead. I started to think about now. Why was I feeling the way I did? What could I do about it? I started mentally re-counting all of my nutrition on the bike. Five full bottles of PhD Nutrition at 240 calories a pop, plus water, plus two Honey Stinger waffles at 160 calories each = 1500+ for a 5-hour ride = practically perfect 300 calories an hour. I'd had to use the porta potty in T2 so I knew I was hydrated. And then I remembered the salt tablets I had brought to mix into my drinks... and I realized they were still on the nightstand. Salt! I needed salt. Funnily enough, I'd grabbed a tube of BASE salt at mile 3 and stuck it in my kit just in case. My brain realized I actually needed to take said salt somewhere near the end of the first loop, so I did. I was also grabbing oranges and drinking Gatorade to keep the calories coming because I didn't think I could stomach a gu. Something started working, and I started to actually get my feet under me as I neared the double digit mileage mark on my second loop. Meanwhile, it was super hot and super humid -- 90-something degrees with real-feel in the triple digits. The sun was out in full force! I love warm, sunny weather but definitely acknowledge the affect it can have on running. I was doing my best to manage the heat -- staying hydrated, sticking ice in my tank, pouring ice water over my shoulders and down my arms (instead of over my head, because I wanted to keep my shoes dry, ironically enough). At the aid station around mile 10 -- just over the bridge by the lake -- I double-dipped on the ice water dumping and made sure to use the hose shower because it was just SO hot. Literally one mile later, I was drenched. The storm came from nowhere, and it was not just "rain" -- it was a torrential downpour. Suddenly, wind picked up, and the rain seemed like it was coming sideways. There was thunder... a lot of very loud thunder, coming very quickly. And the lightning was right there -- by the lake, by the trees, by us. And then came the hail! Just before the rain hit, I started running with a nice guy from Korea. He was about to take his family on a road trip to some national parks, so we were chatting about Utah. I was finally hitting my stride and we were maintaining a decent pace -- low 9's while running, plus walking purposefully through the aid stations. I laughed as we got drenched and splashed through the puddles that immediately appeared. As we turned the corner onto the South side of the lake, I saw them -- Matt and Jorge. They were supposed to be finished, but there they were, walking. My heart instantly sank. I ran over. Matt told me he didn't feel well and had awful cramps, kissed me, and sent me back on my way. I hated leaving him there but they were a full lap ahead, and thankfully he had Jorge. I just had to push my worry and sadness for him aside and keep going for now. It was right before an aid station so I was able to catch back up to my Korean friend. "That was my husband," I explained. Kim responded: "He's handsome." Yes, yes he is. The weather was just getting crazier, and the lightning was just coming closer. I wondered aloud, "They're not going to call the race... right?" And we both shrugged and kept running. I was feeling good and we were running pretty well against the wind, rain, and hail. I was going to negative split this marathon! It wasn't long before we hit the timing mat at the half marathon mark. There was a single volunteer there who told us there was a lightning delay and we were to find shelter at the clubhouse around the corner (about a mile ahead). She didn't seem to have a lot of information and didn't know what was going on with our times, so while other people started walking to the clubhouse, we continued running to it. We were still covering part of the course and our watches were still going, at least, so it was still part of the race to me. When we got to the clubhouse, which was an aid station, there were lots of volunteers and a few more answers. The race was being paused for an hour, and the clock had already been stopped for about 15 minutes. They'd take our time from the last mat and figure things out from there. They said they were told they couldn't stop us from running but that we might get DNF'd if we did. Clearly not worth the risk. But oh, how hard it was going to be to stop at mile 14 and then have to get going again -- for 12.2 miles! The thing that makes an Ironman work is the momentum. An object in motion stays in motion. While an object at rest, well... Let's just say I knew this was going to hurt. Dozens of athletes were already standing underneath the clubhouse porch, many of them with garbage bags on to stay warm. I joined them while Kim talked to a volunteer. More athletes just kept pouring in and I realized I might get to see Matt again, so I kept my eye out for him and Jorge while chatting with the girls around me. This was one girl's 10th Ironman and she was pretty fast (on her last lap). 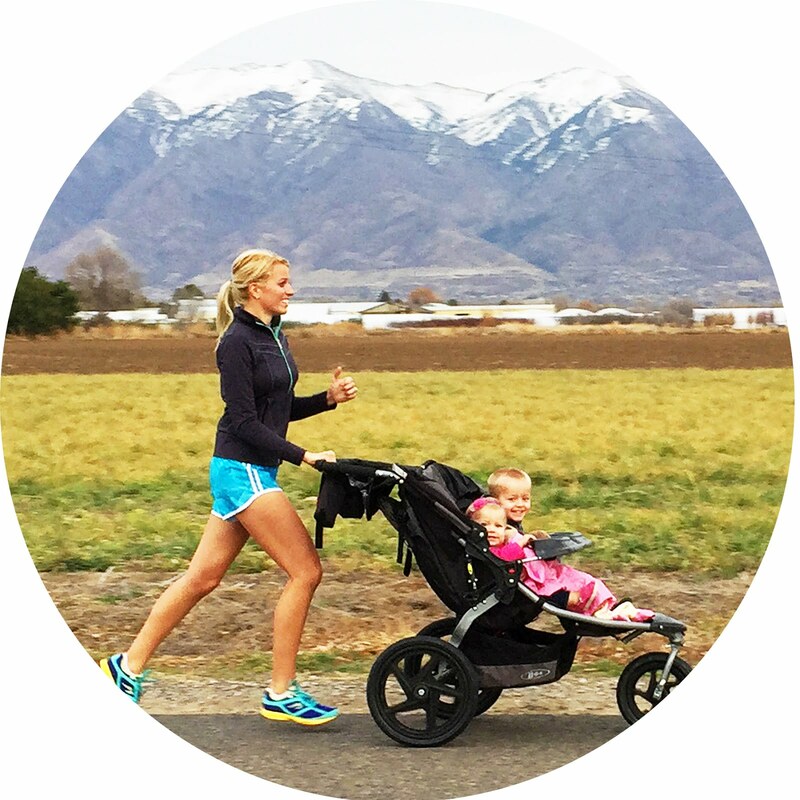 She said she's never felt so awful running off the bike and had come to the same conclusion I had -- that coming out of all the turns had probably taken more effort than we'd realized. I was glad I wasn't crazy, ha. One volunteer recognized my BAM kit and knew my coach Jen -- and she had her phone. 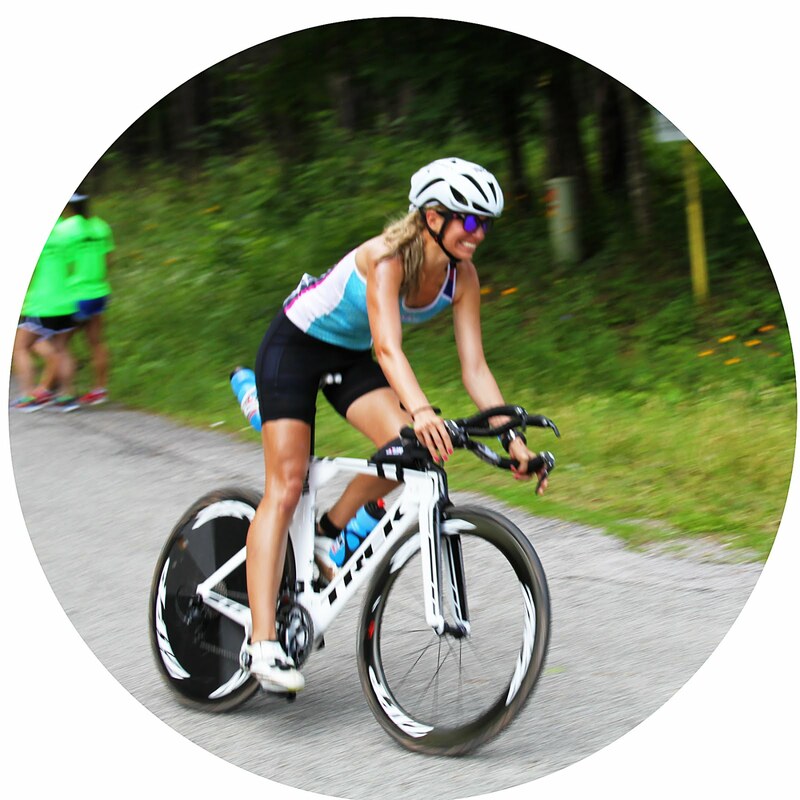 We looked up our friends that were racing and saw that Jen was on her way to a Kona slot! So were my BAM sisters Tracy and Syd. I was SO excited for them! It was a nice distraction. As we talked, I started shivering uncontrollably and my teeth were chattering. I was so cold, which was a crazy thing to process so soon after being so hot. An ambulance arrived and another volunteer explained that an athlete needed treatment for hypothermia. This was just a few miles after people were suffering because of the heat. It was insane. Luckily for me, my volunteer friend went searching for a garbage bag even though they'd run out long ago -- and she magically found one. It helped, and I tried moving in place a bit to warm things back up. Two black BAM shorts in two black garbage bags finally showed up. They'd previously taken cover with some spectators so I was grateful I got a chance to see them again. 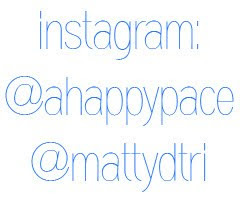 Matt told me about the freak accident in T1 and his foot's injury (details here), although at that point, he didn't know it was infected and therefore the dots weren't all connected yet. I wanted the boys to run with me, but Jorge (a doctor who is always joking around) got serious and told me they really couldn't. I believed him. Finally, nearly 40 minutes after I arrived at the clubhouse, the rain had let up and people started spreading out... and we realized the race was back on! There was no announcement or anything, ha. So again, we said our goodbyes, and I set out to force my body through 12 more miles. Lightning gone, rain lifted (for a bit), and race back on! Matt and I are together on the porch. Thanks to Jon Rasca for the picture! I was still so cold that I ran the first couple miles with my arms tightly crossed over my chest under my garbage bag. Such efficient running form, I know. My muscles were so cold and my body was so tired -- it was well over 100 miles into this, after all -- that my legs and lungs were not happy about this development. But during that lightning delay, I promised myself that I would push through these 12 miles. That I would fight for them. At that point, the race was already not a true 140.6 and now the times were thrown way off and there was no way to know if or how they were going to be fixed, so it seemed like the clock didn't even matter. I could phone it in and no one would know the difference. But I would know. I would know if I gave my everything to this race. I would live that with that defeat or that triumph. I chose to fight. 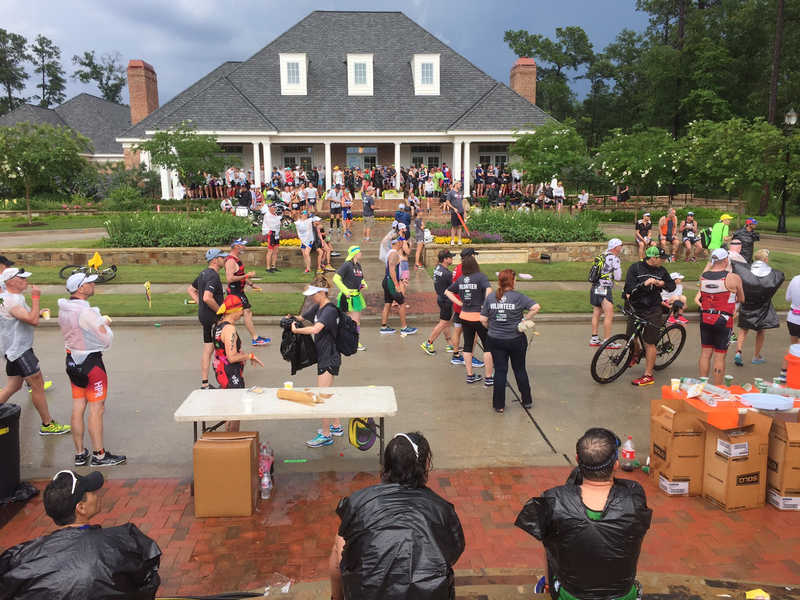 The Ironman Texas run course is the best because of the Waterway -- it's basically like a parade route, lined with hippies, drumlines, frat boys in speedos, and families cheering you on. The people are what make it amazing. Nearly half of each loop is spent on the parade route while the rest of the course is more quiet as you round the lake. When we were standing under the clubhouse porch, we wondered how many spectators would still be on the Waterway. It wasn't long before we found the answer: EVERYONE. They'd waited out the storm and were cheering louder than ever as we tried to get our feet back under us again. It was honestly beautiful. A couple miles back into it, I was finally able to bring my arms out from my garbage bag, and I tossed the bag another mile later. It was hurting, but I was running -- and I was running well, seeing the number 8 for the first time in a long time. Now at aid stations, I reached for the chicken broth and took a few sips to get warm. You know, just the polar opposite of what I'd been doing for the first half marathon haha. I saw my in-laws right before starting my third loop and told them Matt was on his way, but slowly. A high-five from my niece made my day! It was still raining on-and-off, albiet with less intensity, so I was grateful they were still there supporting us. There's one tiny dirt hill to climb early on each loop, and now it was a mud pit. Thankfully, the awesome volunteers were there to help pull you up! I started grabbing coke at the aid stations and reminding myself to drive my knees forward to avoid the shuffle. It was a constant effort, but it was working. I was smiling and moving along well. "You make it look easy," a spectator said. I laughed inside, because I was actually dying. Smiles can be deceiving. :) And yet they deceive ourselves too -- the suffering is a bit easier if you smile through it! There were giant puddles on the sidewalk around the lake now. We're talking four feet wide and five feet long with muddy marshes on the sides -- nothing to do but run through them. Some were so deep that they enveloped your whole shoe as you touched down. I thought of how careful I was not to get ice water on my shoes earlier and laughed for the hundredth time. There were some guys who looked miserable as I passed, so I joked about not knowing we were signing up for a steeplechase. One cracked a smile but the other just stared at me like I was crazy, ha. I was hurting but having some serious fun out there! I thought of how much my kids would love this puddle jumping business and tried to enjoy it to the fullest extent. Last year, my goal was sub-13 and I had a decent cushion to hit that by the time I started my third lap. I remember constantly calculating in my head -- I could go X slow and walk an extra X at that aid station and still make my goal. 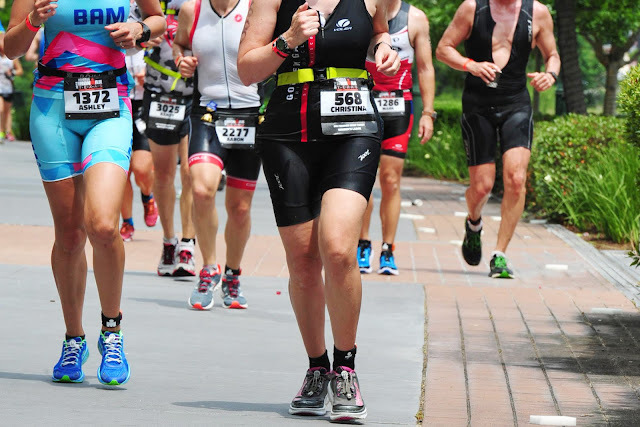 It was my first Ironman, I was tired (duh), and everyone else was slowing down, so I was bargaining my time down, too. But still under my goal time, so hey! Clearly not the right train of thought. I've told myself for months that would not happen this time. I would keep pushing no matter what the clock said or where I was in relation to my goal. I thought of that, and I pushed. I kept going as fast as those legs could maintain. I was huffing and puffing for basically the entire third lap. (Yes, while running high 8's, low 9's, ha!) Breathing hard won't kill you, I reminded myself. You're fine. My body did not want to run, let alone run anything even remotely fast. But I did. I wanted to make every mile count. I wanted to cross that finish line and know I'd given my best that day. It was HARD. I was fighting. I made it back on the waterway and took all the high-fives I could get. I kept running, kept pushing. I'd planned on running past the last couple aid stations but was still so cold at mile 23.5 that I walked long enough to down an entire cup of chicken broth. Looking back, I wouldn't have frozen to death so I'm sure I could've skipped that, but your brain isn't working super awesome at the end of an Ironman, and hey, I was cold. :) I threw the cup away and took off running, knowing I had less than a 5K left! I could taste it. Run split- 4:17:44. Pace- 9:50. Negative split.